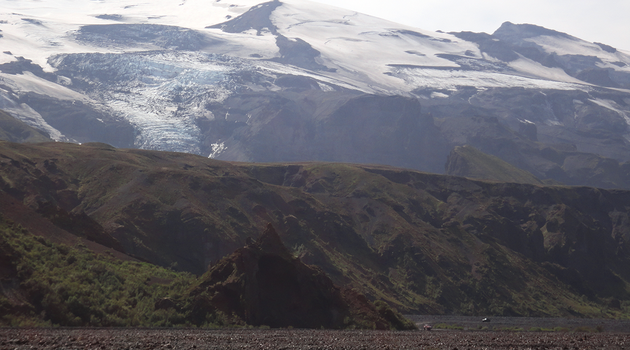 Nestled between the glaciers Eyjafjallajökull, Mýrdalsjökull, and Tindfjallajökull is Þórsmörk (Thor's Valley), a nature reserve in the southern Icelandic highlands. 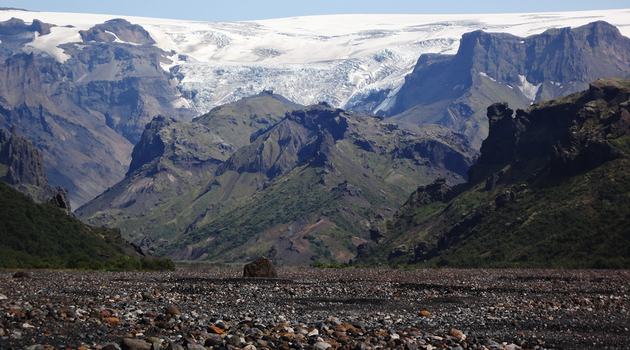 Þórsmörk is one of Iceland's most popular hiking destinations. 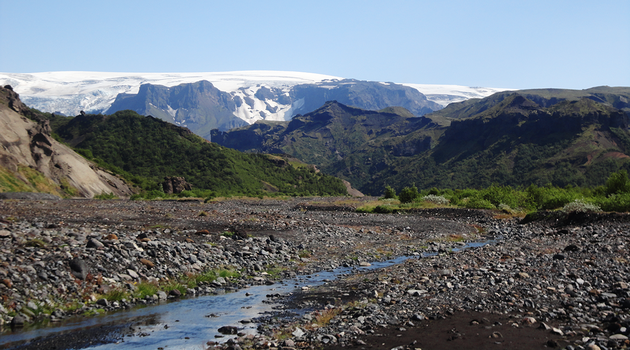 An amazing landscape of deep valleys criss-crossed by numerous fast flowing rivers amazing hiking trails both short and long some having glaciers on 3 sides. 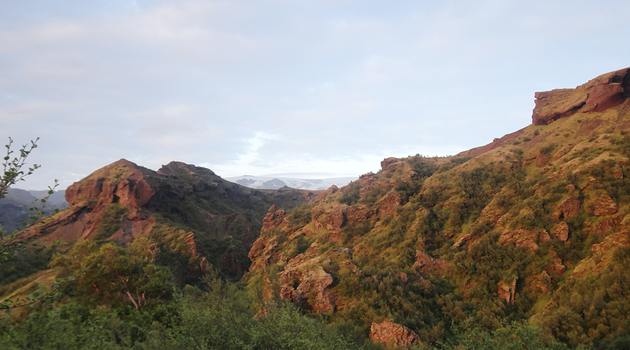 It really is a stunning landscape. On the way our bus has to cross several unbridged rivers quite the adventure for those willing to undertake it. 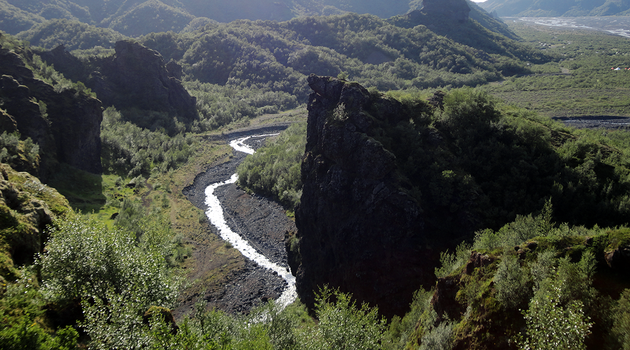 You could even try the extended hike, the Laugavegur trail or perhaps a separate challenging hike over the Fimmvörðuháls mountain pass to Skogar on the South Coast. 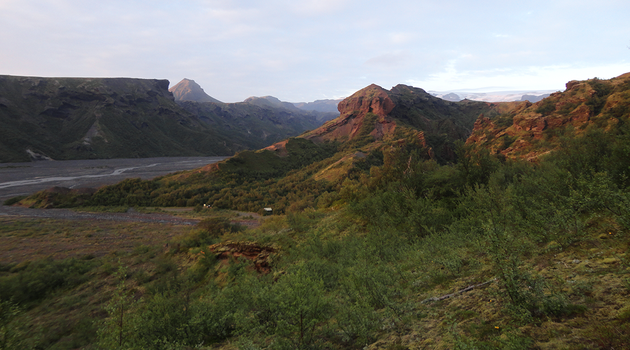 Þórsmörk is actually a valley and a mountain range between the Krossá, Þröngá, and Markarfljót rivers. 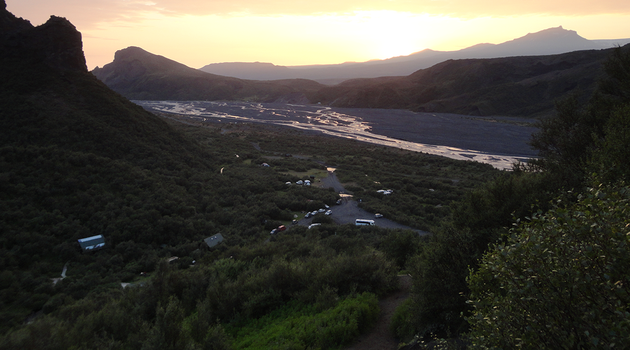 Locals, however, often use the name "Þórsmörk" when referring to a much larger region that is composed of the area between Þórsmörk itself, and the Eyjafjallajökull glacier volcano which you may recall caused air traffic chaos in 2010 when it erupted. 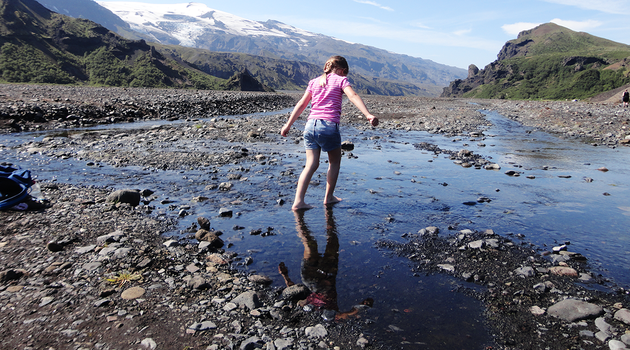 A world of adventure awaits, and Thule Travel would like to get you there! Good walking boots, waterproof clothes, wear layers and food. Bus tickets are sold online at www.thuletravel.is and at all major Tourist information offices. All we ask is for you to be at your bus stop on time, preferably at the bus stop/station 15 mins before departure. All unused tickets are Non-refundable. 16+ pay full adult fare, 12-15 years and children 11 and under are free. Sorry but this departure date seems to be fully booked. Sorry but this departure time seems to be fully booked. Sorry! No upcoming availability for this tour. TourDesk is a comprehensive tour-booking service for aimed to simplify the booking process of our clients by creating a platform between operators and our clients. If you have any concerns or comments regarding your purchase, please contact us at info@tourdesk.io. Our low price guarantee covers retail and prepaid rates available to the general public. It does not include discounts you may recieve from third party organizations, or special offers made as part of a membership program, corporate discount, daily deal, group or reward program. A TourDesk verified operator has undergone our quality assurance program, meaning the tour operator fulfills certain conditions and operates according to our standards. Please fill out all the Required fields. Please fill out all the Required fields, for all persons.